Elastaflake RFS is a seamless, waterproof flooring system that is both resilient and comfortable underfoot. 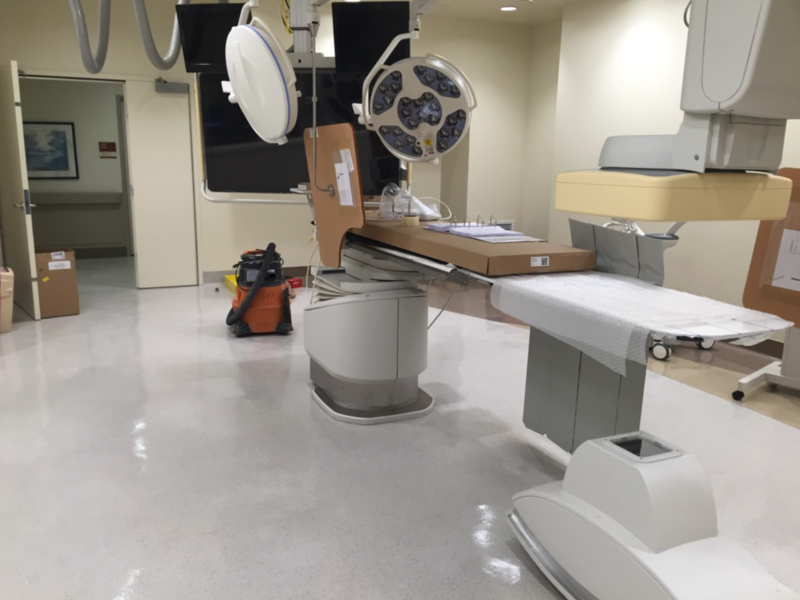 The fluid-applied, composite flooring includes a specially formulated cushion coat to reduce physical fatigue, making it ideal for hospitals, clinics, clean rooms, and surgical settings. To create a clean, hygienic environment, Elastaflake can be turned up vertical surfaces, walls, and cabinet bases for easy cleaning and maintenance. The durable, glossy topcoat offers protection against common chemicals, abrasions, and ultraviolet light. Choose from a variety of solid colors or a blend of decorative chips for added aesthetic appeal. Weight – 1.07 lbs. per sq. ft.